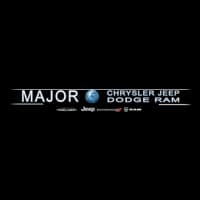 Test drive the new Jeep Cherokee today at Major CJDR in Long Island City, NY! In the Motor Trend review of the Cherokee, they said it “feels quick around town.” Come check out the new Jeep Cherokee for yourself today at your Astoria area Jeep dealership in Long Island City. See how the Cherokee compares to other Jeep models like the Grand Cherokee. Why shop with us? We offer great deals and coupons, and we have a meticulously trained sales staff and full team of certified Jeep technicians on hand. Compare the Jeep Cherokee to the Honda CR-V, then come see us seven days a week, and contact us with questions! Still searching for the perfect family vehicle. Check out the luxurious interior of the Chrysler Pacifica.